Last week I was at a dinner and a friend asked me about what I’ve been working on. I told her I’ve been doing some work focused on developing people. She immediately said she and her employees had no problems with development. I asked what they did and she said with great satisfaction that they always identified the development goal when they did their performance appraisals. She looked confused. “That’s what we do,” she said. She looked a bit less confused. “I guess I’m going to have to think about that,” she said. And, because this was not a work-related occasion, we changed the subject. 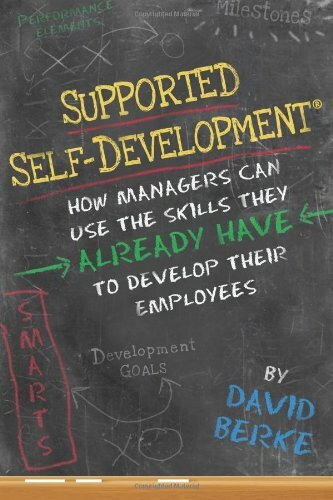 I’ve heard other managers say that development was a success because they and their employee had identified a development goal. It appears that accomplishing the goal is usually a given – just a matter of finding the right workshop or on-line resource that fits the goal. In other words, when you complete the workshop you accomplish the goal. The reality, of course, is that completing a workshop usually just means you’ve completed a workshop. People often sign up for a workshop hoping or believing some sort of transformation will take place. It’s one of the reasons managers often are disappointed that their employees don’t return to the job with significantly more expertise or skill. The truth is there is no magic. Learning is incremental. It takes time. And practice. Next time you’re tempted to do only what my friend did, keep these three points in mind. Workshops are useful for introducing someone to a topic or providing an orientation. There might be some skill practice, if that’s appropriate to the topic. Similarly, the participant could start developing expertise. But there’s a real limit to how much someone can learn in one or two or three days. A workshop is often a useful element in a development plan. But it shouldn’t be the whole thing. Ideally, the employee and manager discuss what the employee should focus on before the workshop. After the workshop, they should discuss possible assignments and other activities the employee can use to apply what was learned in the workshop. Without application, it’s likely the employee soon will forget what he or she learned. If you assume that completing the workshop also means accomplishing the development goal, you might also assume that the trainer/instructor is responsible for the entire development process. This isn’t high school. The trainer/instructor is responsible only for the workshop. What happens before or after is the responsibility of the manager and employee. If you’re a manager, developing the people who report to you is one of your responsibilities. (The employee is also responsible.) Don’t fool yourself by thinking it’s the trainer’s responsibility. Sending an employee to a workshop is an easy way to address development. But it is an incomplete solution. Include workshops in the development plan, if that’s appropriate. But also plan for ways to prepare the employee before the workshop and ways to apply what was learned after the workshop is complete.